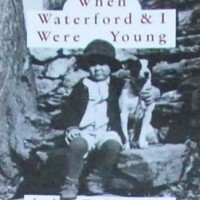 The Burning Cow Question and Other Tales from the Waterford Town Council, 1891 to 1909. $5.25 plus $3.55 shipping. Includes tax. • Just how much manure is too much? • What happened when the post-election jollification got out of hand? • How did the ladies soil their balbriggans? • Was the livery stable really a den of sin ? Nothing is held back in the exclusive probe into the long-hidden files of Waterford’s old Town Council.